We are exploring how to engineer bacteriophages to precisely control microorganisms important to human and environmental health. Adam Arkin is the Dean A. Richard Newton Memorial Professor in the Department of Bioengineering at the University of California, Berkeley. 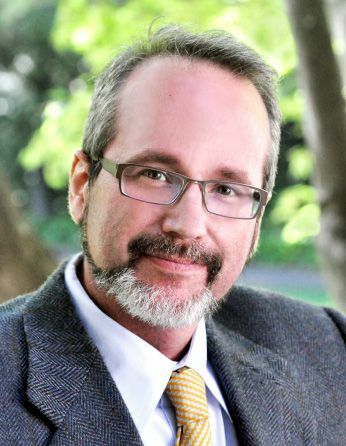 Arkin is also a Senior Faculty Scientist in the Environmental Genomics and Systems Biology Division at the Lawrence Berkeley National Laboratory. The Arkin lab focuses on the systems and synthetic biology of microorganisms, developing theory, computation, and experiments surrounding the modeling of biological systems at the molecular and population level. The lab has developed a number of genome-scale technologies to rapidly assess the genomic function of uncharacterized microorganisms. 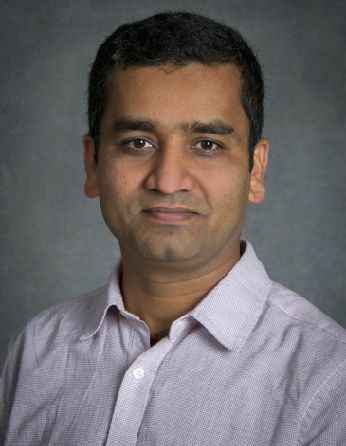 Vivek Mutalik is a Research Scientist in Environmental Genomics and Systems Biology, and Biological Systems and Engineering at the Lawrence Berkeley National Lab. Microbial communities drive and are driven by significant environmental processes, affect agricultural output, and impact human and animal health. Complex interactions among themselves, their hosts, and environments are thought to be important for these effects. Manipulation of these communities can potentially lead to improved health, crop productivity, and environmental resilience. The virome, the collection of viruses/phages that parasitize these microbial communities, are a critical feature of the network and represent the most abundant biological entities with an estimated range of 1030–1032—tenfold greater than bacteria. However, as phages are deeply under-characterized, our ability to understand their role in microbial community dynamics and activity or to utilize them as engineering tool for studying microbial community dynamics is limited. Since phage encode relatively small genomes they are inherently engineerable at genome-scale and there is an opportunity to gain control of bacteriophages to “edit” the behaviors of individual members of microbial communities in situ to obtain understanding and targeted applications. In this project, we aim to develop a platform to gain a deeper understanding of phage-host interaction determinants and use these insights in designing and engineering phage particles. We demonstrate the power of this platform by application to a targeted set of important hosts and their phages. Success of this project will enable us to rapidly characterize phages, phage resistance determinants of the host, and then to apply the knowledge to phage engineering to selectively manipulate or edit individual members of microbial communities that impact plant productivity and animal/human health. This project will lay the foundation of a ‘Phage Foundry’ that will provide foundational knowledge and a genome-engineering platform to provide designer viral reagents to the broad research community and will be focused to support the agricultural, environmental, and health strategies of IGI’s academic and industrial partners.